Even the healthiest of eaters have their off days (or off weeks) when they decide they don’t want to eat anything green you put on their plate! Or times when they are asking for a dessert or a sweet treat when they probably don’t need one. 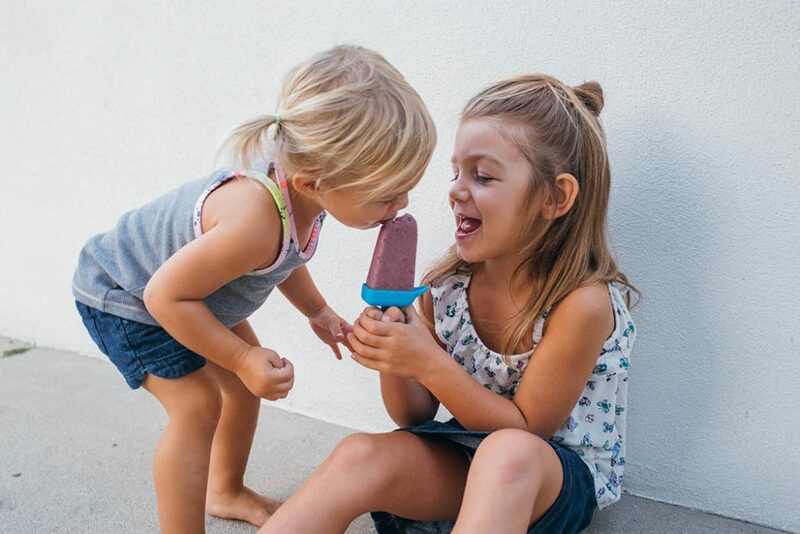 I love keeping some healthy popsicles in the freezer for those moments. 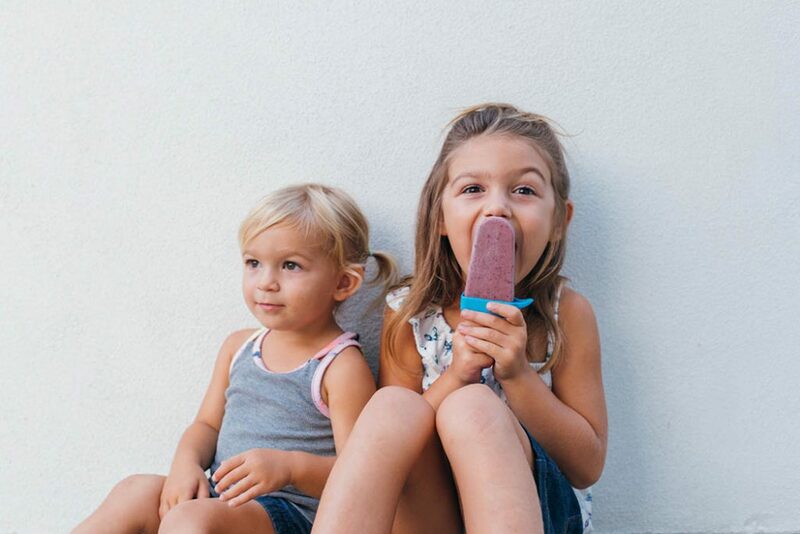 It makes both the parents and the kids happy- they get a refreshing and delicious popsicle and you can smile and sit back knowing they’re consuming a boatload of nutrients! A healthy dose of mom trickery! 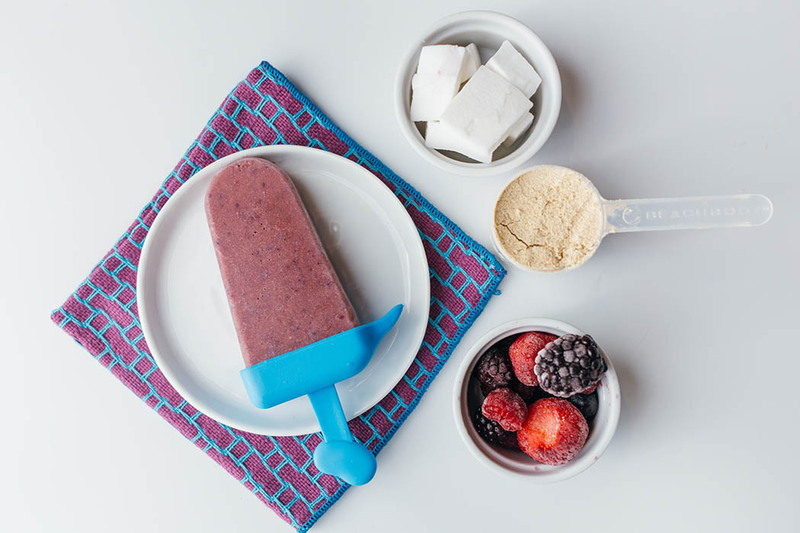 Whole and healthy kids popsicle loaded with vitamins, omega-3's and plant based protein. Add all ingredients into high powered blender, blend on high until all ingredients are liquified. 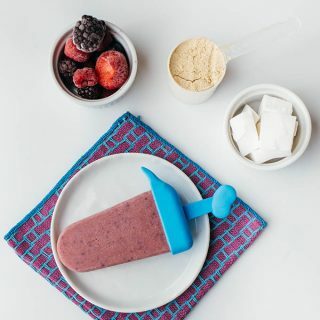 Pour equally into popsicle molds and place in freezer. Let freeze completely before trying to remove from mold! If you don’t have Daily Sunshine, you can sub in a Tablespoon of hemp seeds or a scoop of tropical or vanilla flavored plant-based protein powder. Just be sure to check the ingredients and dosing suggestions on any protein/shake powder for the little ones! What is Daily Sunshine and why is it great for kids? 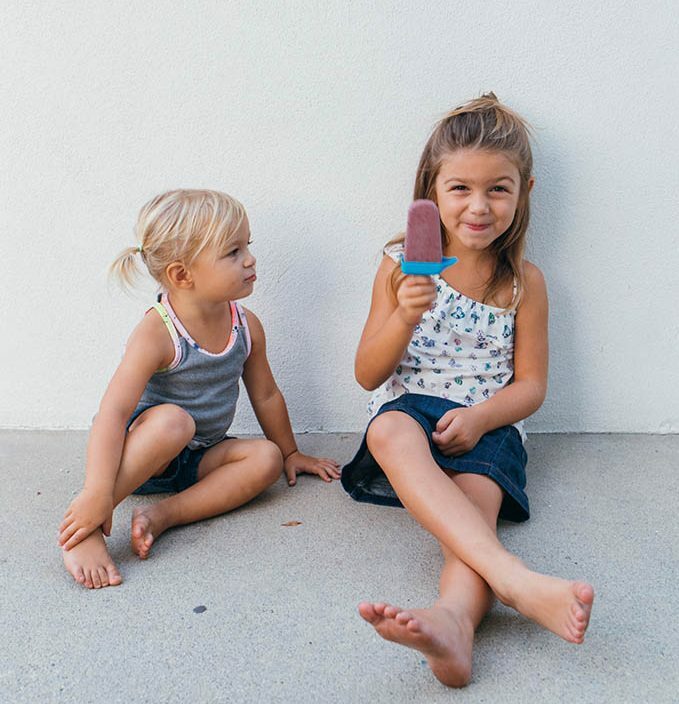 Daily Sunshine is a healthy 3-in-1 smoothie for kids that’s been designed specifically for their unique dietary needs. It’s made with organic fruits and vegetables, organic pea protein, and healthy fats, and has 3 grams of fiber, probiotics from Bacillus coagulans, vitamins C & E, calcium, and vitamin D. It’s also soy-free, dairy-free, gluten-free, and non-GMO, and it contains NO artificial flavors, sweeteners, or preservatives– and 4 out of 5 pediatricians approve its formula. I can get down with that! For more about Daily Sunshine, or to get some or your house head over here.